Well It’s officially both of our kids are in school! Anyce is in 3rd grade. 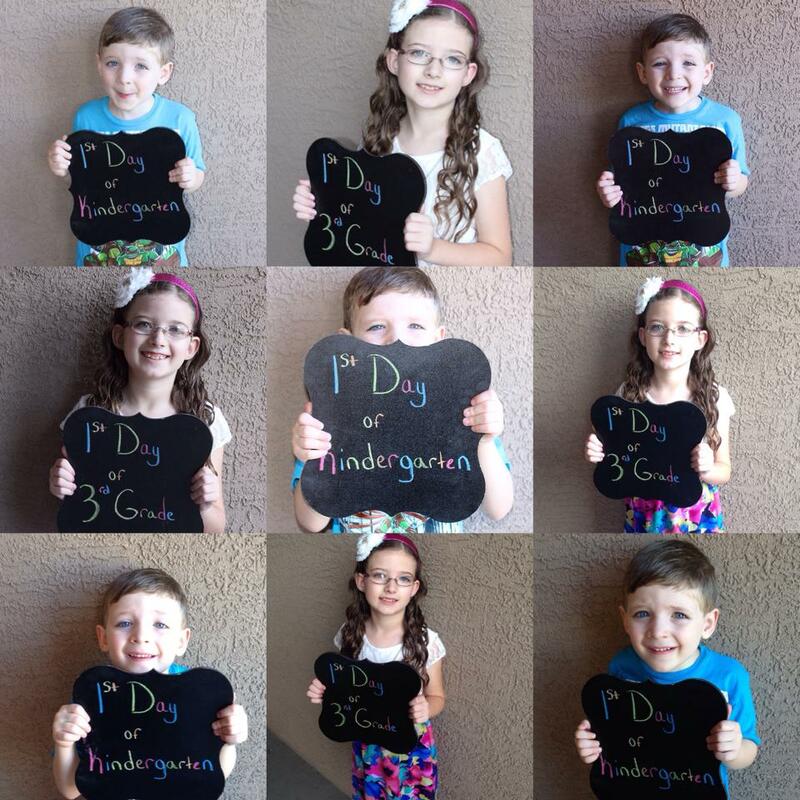 Zayden is starting Kindergarten! Yes, let’s let the panic attacks start. Zayden is my youngest. My super babied child is in Kindergarten! It’s absolute crazy. How did this happen? Time flew by! I swear, I should at least have one more year with him at the house. We cuddle, read books and play games on the daily. What I am going to do without him? At this point, Anyce is a pro at school. Seriously, she takes after my husband. She is the quite, smart, angelic student. She does everything she is told and has never had any behavior issues at school. I know I sound like I am bragging. However, I am not. This is due to her being so shy. She doesn’t talk to most people at school. So my biggest issue with her is getting her to open up and make friends. Anyce was excited that her BFF, Bella, is in her class again this year! I am happy she at least has her in her class. Holy cow, that boy was more ready than I thought! We’ve been working the past year on socializing & etc. He walked up to almost every kid. He introduced himself & asked them if they wanted to be his friend. I got a hug, kiss and a goodbye as he ran into his class. He absolutely loves his teacher. He hugged her and gave her high fives. For Zayden this is amazing. He doesn’t warm up to people easily. Still, I am heartbroken that my kids are growing too fast. I had to hold back my tears until I got to my car. . I am very proud of my kids. This year is going to be full of ups and downs, but I foresee them making amazing progress and learning so much. I am happy they are both enjoying school.